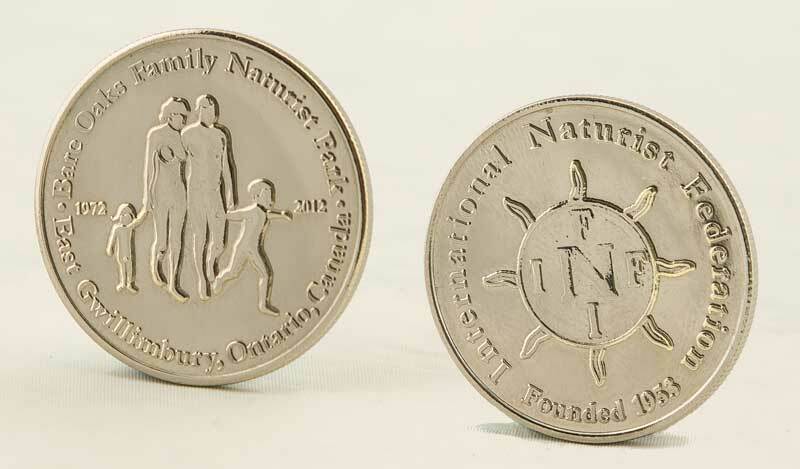 Postcard with the headline "Ontario Naturally" and showing an aerial view of Bare Oaks Family Naturist Park. 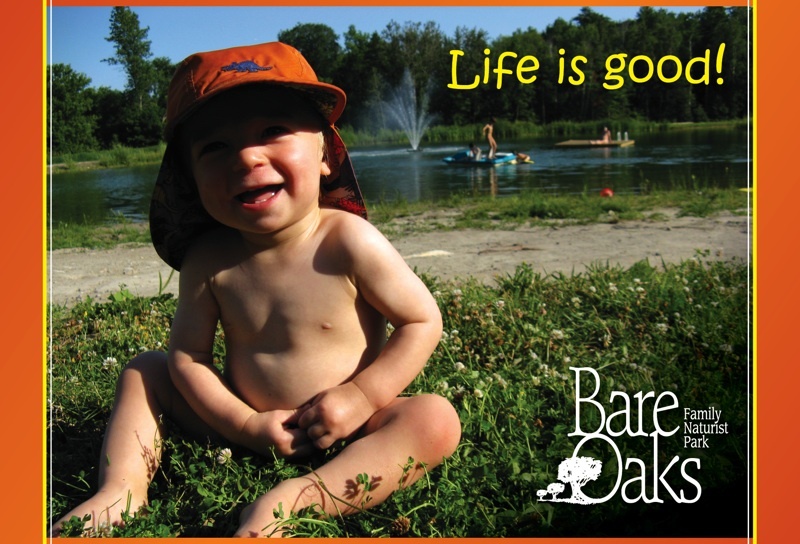 Postcard with the headline "life is good" and featuring a very cute and very happy baby on the beach at Bare Oaks Family Naturist Park. 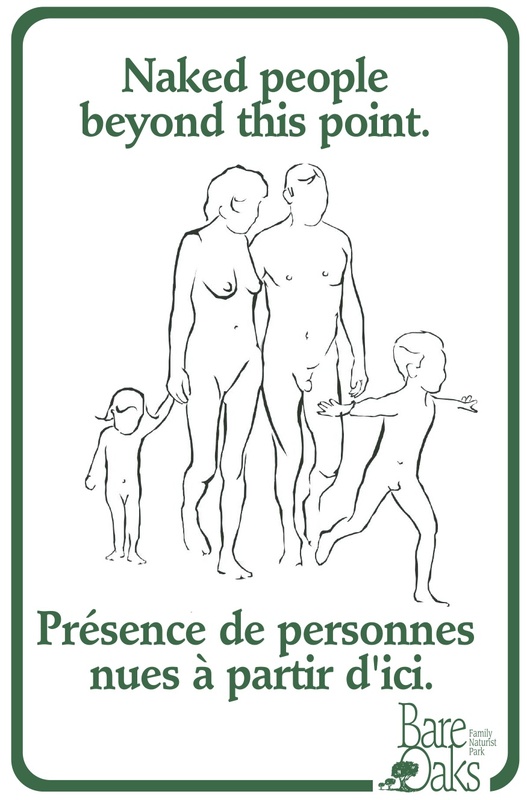 This is the sign you find throughout the property and clubhouse at Bare Oaks Family Naturist Park. 20cm x 26cm signs on coroplast.